Home › Monoinside 12" X 15" Inches Multi-Use Memory Board Wood Framed Chalkboard Wal..
Monoinside 12" X 15" Inches Multi-Use Memory Board Wood Framed Chalkboard Wal.. The 12" x 15" inches wood framed chalkboard by MONOINSIDE offers you with multiple benefits. 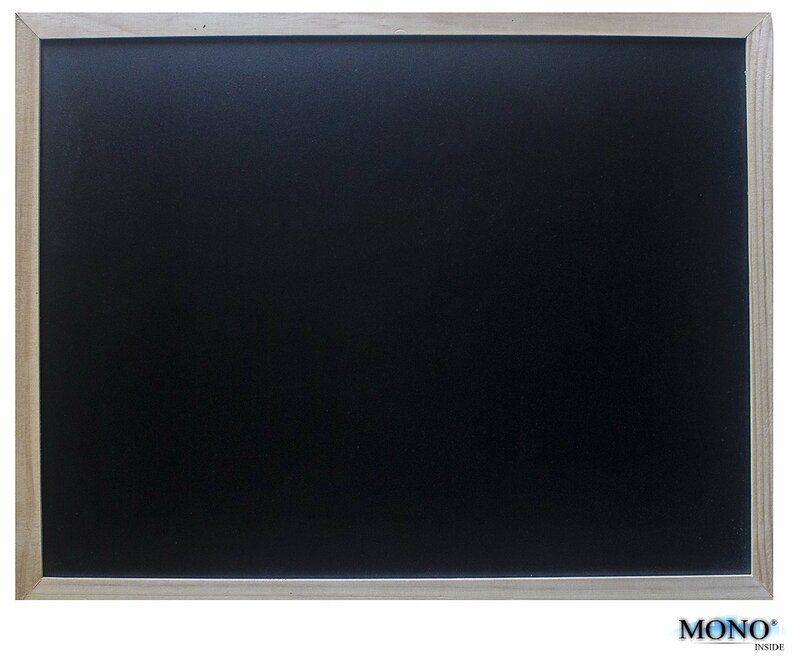 Use this blackboard as your favorite memo space, notes and message board, restaurant menu board or your personal portable calculation chalkboard. Suitable for hanging (screws included) in bedroom, meeting room, office, restaurants, etc. Perfect as a gift for your friends, family and your loved one. This multi-purpose chalkboard comes in great style and is built on selected material. The frame is built from lightweight yet sturdy wood. This not only ensures the long term durability and usability but also provides you with great portability and ease of carriage. Great for children and adult alike. This wood framed chalk board is great for both school and at home, as well as offices and at work. Your kids with never get bored as they can write, draw, and have fun during their early phase of education. You can also enjoy both functions and decoration benefits offered by this chalkboard. Easy to maintain and clean. The writings and drawings can easily be wiped off with damp cloth. Add more cleaning agents for more cleansing benefits. In addition, this chalkboard is designed to be hygienic and moderately dust proof. Brought to you by MONOINSIDE. Only authorized distributors are allowed to use our brand name. Authentic units will have our brand sticker on the package. Whether you're looking for a new toy for your kids, a new home & office decor, or a new back to school item, this chalkboard by MONOINSIDE might be your answer!